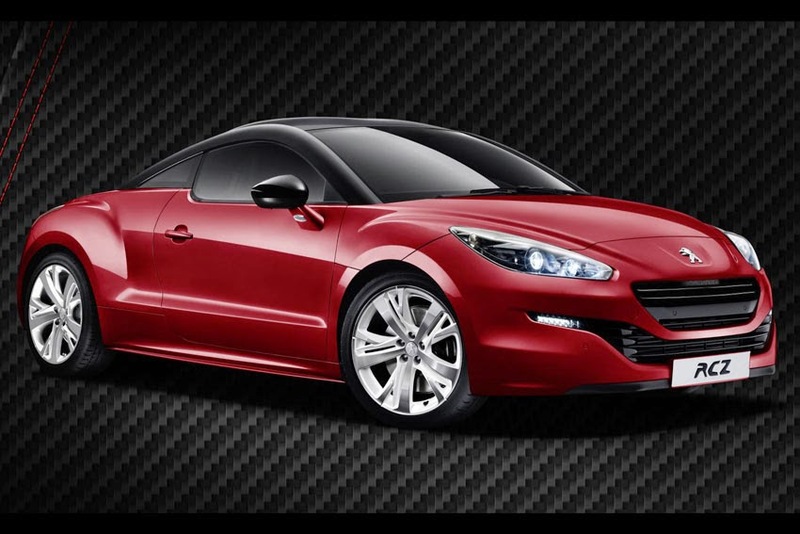 A new Peugeot RCZ 'Red Carbon' LE model is announced, combining high specification, bespoke trim and 'Red Carbon' badging, distinguished by a red-stitched interior. with unique badging. Each model features as standard the 'Vision Pack' - with Xenon, directional and self-levelling headlamps, 19-inch 'Solstice' alloy wheels - with their onyx black matt paintwork finish, metallic paintwork in Moroccan Red or Nera Black, complemented by the 'Black Pack' which includes matt black roof arches, brilliant black front grill, door mirror covers and brake callipers. On the inside, unique 'Red Carbon' black style sports front seats trimmed in 'Simple Leather' feature red stitching, as do the 'Red Carbon' style dashboard, sports steering wheel and short shift gear lever.